DevaDas movie standees have arrived across USA adding to the excitement of the local audiences. 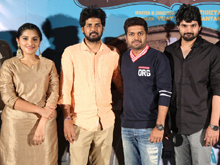 FlyHigh Cinemas and Vyjayanthi Movies are giving away 80 free premiere show tickets through "#DevaDasThoNenu" contest. 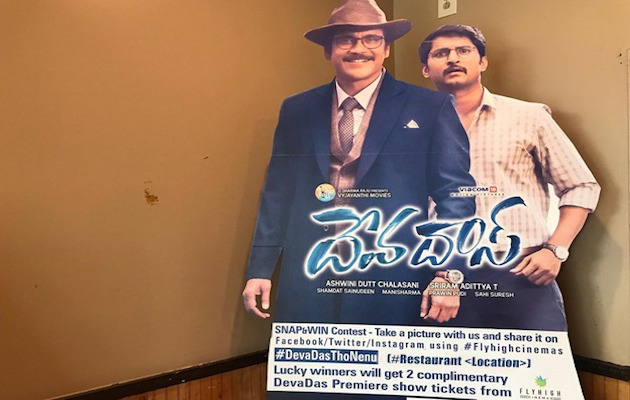 DevaDas movie exclusive standees have been placed across 20 South Indian Restaurant chain locations in USA exclusively for "#DevaDasThoNenu" contest. 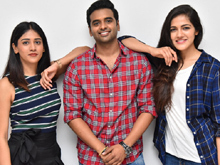 All you need to do is take a selfie with Deva & Das and share it on Facebook, Instagram or Twitter using #FlyHighCinemas, #DevaDasThoNenu and #Restuarant<Location>. 2 winners from each of the 20 locations will be gifted 2 free tickets to the Grand USA Premiere happening on 26th September 2018. As many as 40 Lucky Contestants will win 2 free premiere show tickets each, screening at their nearest theatre. So this weekend, stop by your nearest contest location to click a selfie with Deva & Das and earn the chance to win two #DevaDas USA Premiere Show tickets. Contest remains open from 12 Noon on 21st September 2018 until 11:59 PM on 24th September 2018 ONLY. Winners list will be announced on 25th September 2018. 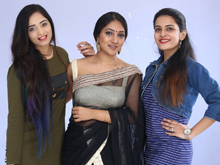 "All Set For DevaDas Grand Premieres Today"
"YuppTV bags exclusive digital rights for ASIA CUP 2018"